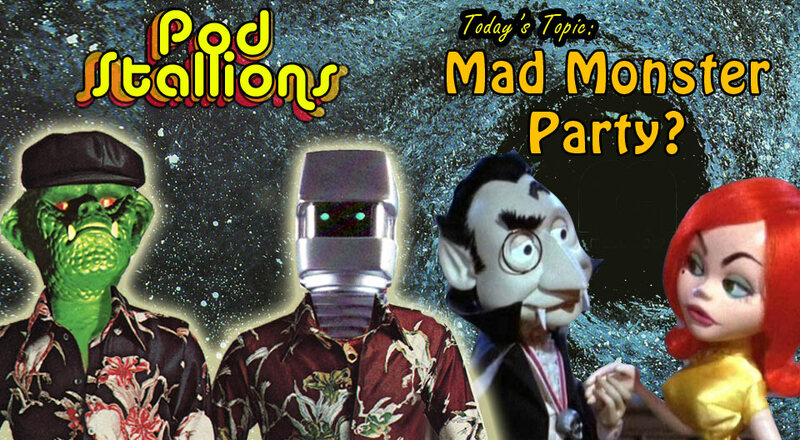 Thread: Pod Stallions 67: Mad Monster Party? Fun episode! I discovered Mad Monster Party when I was around 11 or 12. I came in half way through and thought I had somehow been transported to a bizarro land where Rankin/Bass had created a Halloween special I somehow never heard of! It wasn't until years later I learned it was a theatrical release. I've long said that as much as I love this...it's a bit bloated and slow. My kids watch it every year, but usually its in the background as we carve pumpkins or something. I think Jason's right, if it was an hour TV special it would really appeal to a broader audience, especially to the younger set now, and it would be more than just a cult favorite, it would be right up there with The Great Pumpkin. Just cut out your wife's hated songs and that would help. I also agree on everything you said about Franchesca. And I hadn't thought of those Nanny Dickering strips or Cracked monster specials in YEARS. Thanks for bringing back the fond memories. My daughter and I did the YouTube Halloween Nostalgia Tour again this year, and we watched "Halloween with the NEW Addams Family". A bit slow in parts, but at least they got all the living original cast in, even Pugsly and Wednesday. I remember Witch's Night Out, but even as a kid the art style disturbed me. My daughter took one look at it and said "Pass". I hadn't found it until the 1990s, and I agree. I love it. First time I'd watched it, I was enchanted. Second or third time, I realized how long the running time is, and how padded it seemed. I still think the designs and voice work are fantastic, but it just screams out for a fan edit. Thanks for another fun show. I never saw this as a child and first discovered it in a book about Rankin-Bass. A few years ago I found the DVD on sale at Halloween at Target. I agree with the assessments about its songs and the pacing at times, but I love the character designs. 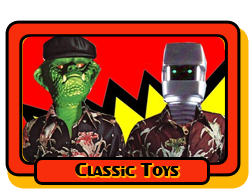 I really wish I'd gotten the Baron Boris figure when it was released a few years ago. Karloff's presence really elevates it (and, as a fan of crossovers, I like to use it to connect to Frankenstein 1970). I actually do have the DVD of Mad Mad Monsters. It's not as charming, as you say, but it's a nice example of some of those last vestiges of monster mania that came up in the 1960s. Your comment about Phyllis Diller (and whether kids would know her) made me think of the various personalities R-B used to use (Jackie Vernon and Jimmy Durante in Frosty, for example) who had to be there more for adults than children. I'd definitely enjoy a show on more of Rankin-Bass, especially if you talked about their Tolkien adaptations. Have you seen the Mad Monster masks they have on Amazon? Those look cool. I have not. I'm trying to be good. MAD Magazine and its wannabes. I know I've found the Mothership when there is conversation regarding the adolescent appeal of Nanny Dickering gracing the pictures of Cracked Magazine. God Bless You, Pod Stallions.